Used to prevent damage to the feather on a Clydesdale & Shire. Made of the same leather we use to make farrier aprons - will not bleed color when wet. 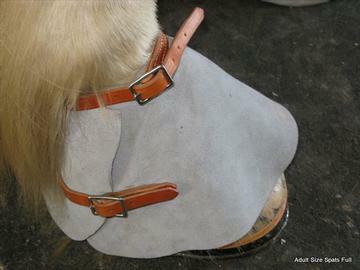 This spat is designed to go all the way around the hoof head. Available in Adult size or Yearling size.